Artisphere will be turning one year old next week, and it's throwing a blowout birthday bash to celebrate. 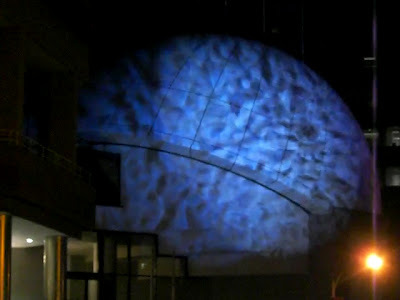 The celebration will feature, in the spirit of Artisphere, a whole, wide world of activities. Sunday, Oct. 9, from noon to 6pm will be a free arts open house for all ages. It will include animated films in the Dome Theatre, salsa lessons for all ages and abilities, a chance to make art with extraordinary young artist Augie Webster, the freedom to bang hands on drums, a special program of performance art, opera, shadow puppetry, and avant-garde classical theater. Saturday night, Oct. 9, from 8pm to late, late, late will be the huge 1 Party. Everybody who's anyone will be there. Local artist Brian Stansfield has created a site-specific video for the celebration. Party participants will be able to download original music to accompany the video. The whole event promises to be psycho-sensational. You may not like everything at Artisphere, but you're gonna love something. What if you don't like any form of art whatsoever? What if you don't even like anything that begins with the letter "a"? Then come for the free birthday cake. Free birthday cake at Artisphere next Sunday afternoon!